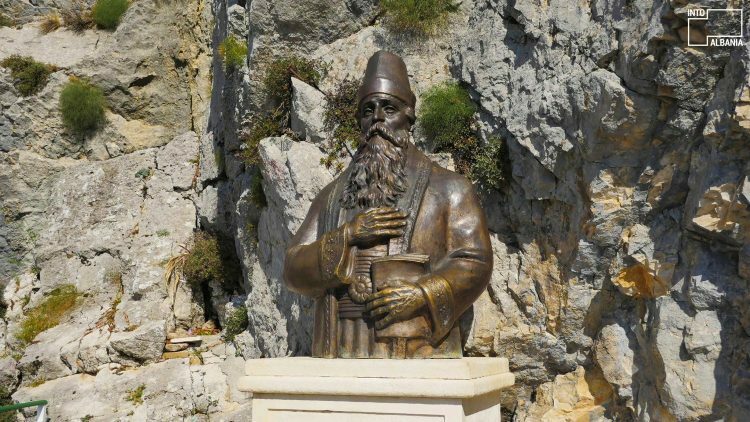 Known as home of the national hero Gjergj Kastriot Skanderbeg, Kruja is one of the most visited tourist destinations of the country. The hero’s castle, along with the museum located within it, is one of the most valued monuments and architectural complexes in the country. The ethnographic museum and the functional traditional bazaar, as well, are only a few of the reasons why you should plan a day-trip to the city. Below, we give you some suggestions on how to get the best out of the city in one day! Kruja is known for its strong coffee tradition, so it will be fairly easy to find traditional cafes where you can enjoy your morning coffee. We suggest Bar (Hotel Restorant) Panorama as it not only serves one of the best coffees in town but, as its name suggests, it offers beautiful panoramas of the entire town. Right next to Bar Panorama is the entrance to the Old Bazaar of Kruja. As the most famous bazaar in the country, this place merits an immediate visit! In the dozens of shops and boutiques lined up in the streets, you will find traditional craftsmen selling and making their products. You can find countless traditional functional and artistic objects such as carpets, furniture, silverware, copper plates and ornaments, as well as many other souvenirs. Antique dealers and enthusiasts visit this bazaar as it offers many objects of interest. The best part of the experience is that the traders will be happy to share each object’s fascinating history with you! 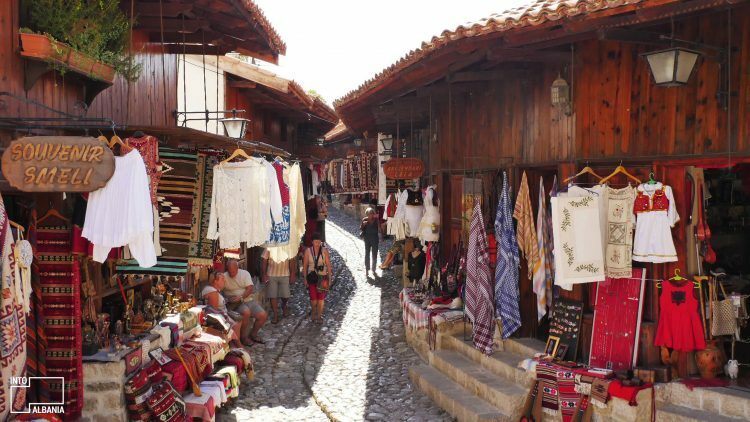 As you reach the end of the Bazaar, you will enter the slightly steep road towards the Castle of Kruja, the symbol of Albanian resistance against the Ottomans. It was here that Skanderbeg waved the Albanian flag for the very first time on November 28th, 1443 and where he, along with his army, successfully resisted the Ottoman forces for more than 25 years. It was Albania’s very first taste of independence and, as such, it remains a place of inspiration for the entire country. As one of the country’s most important landmarks, this part of your day can focus on leisurely admiring this 5th century fortress and the museum within it. On the right side of the Museum is Bar Restaurant Alba, a traditional place where you can both relax and enjoy delicious food without abruptly breaking from the experience of the museum. The menu offers popular Albanian dishes and its décor and ambiance are in complete harmony with the Castle’s history. Once you have rested and enjoyed the traditional lunch, you can visit another must-see museum located within the castle. The National Ethnographic Museum was built in a 19th – century villa, one of the best representations of the period’s architecture. 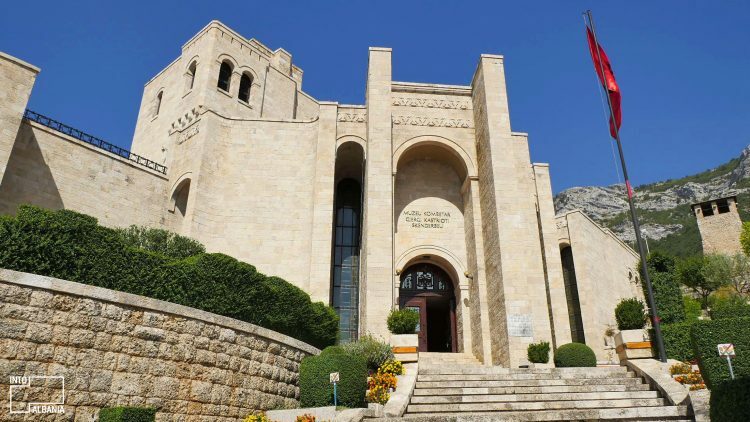 In addition, the museum’s masterful tour guide reveals a great deal on the lives of the local residents, important objects as well as memorable features preserved throughout the centuries. 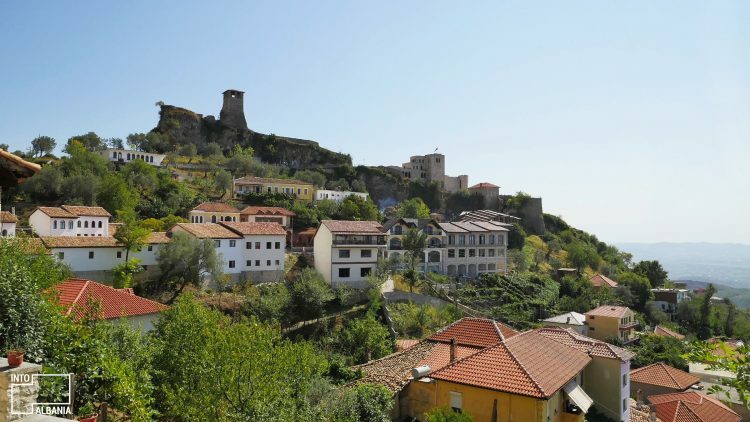 After these fundamental visits, we invite you to leave the historic and cultural side of Krujë behind and enter the natural beauty of the surrounding area, easily accessible by car. 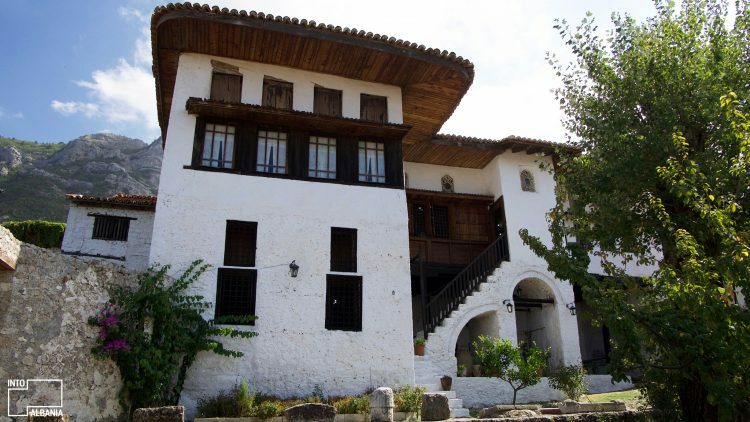 Sarisalltik Mountain is located only 20 minutes away by car from Krujë. This holy place, the epicenter of the bektashi order in Albania, is famous for the tekke or masjid holding the same name. While thousands of pilgrims visit the sacred mountain regularly as a spiritual place, many other tourists climb it simply to see the fantastic views available from its high peak, views which include the Adriatic Sea and the surrounding hills and lakes. If you choose to stay in Krujë for dinner, you should definitely return to Bar Restaurant Panorama, the best place in town for tasty traditional fare.